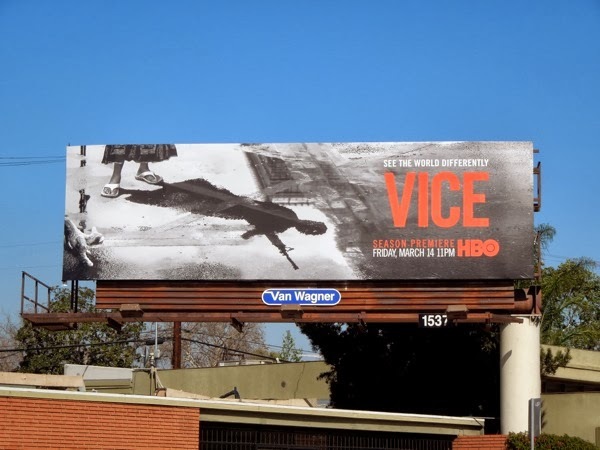 These days as a society we've become so desensitized by images of violence and warfare, but the image of a child brandishing a semi-automatic weapon is still pause for thought (at least that's what this season two promo billboard for HBO's Vice brings to mind). 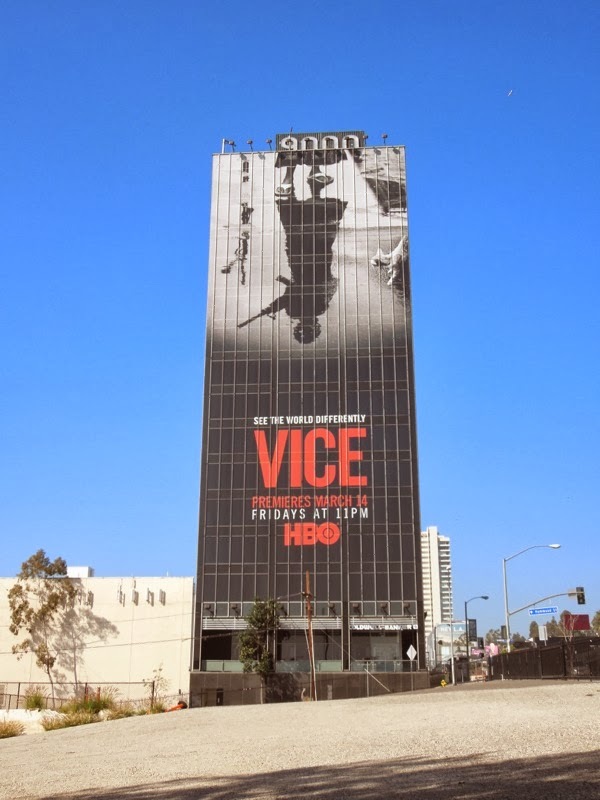 For its inaugural season Vice was nominated for an Emmy for Outstanding Documentary or Nonfiction Series, so are you ready for another dose of the news magazine show without fear, going where other journalists and traditional news channels are afraid to venture? 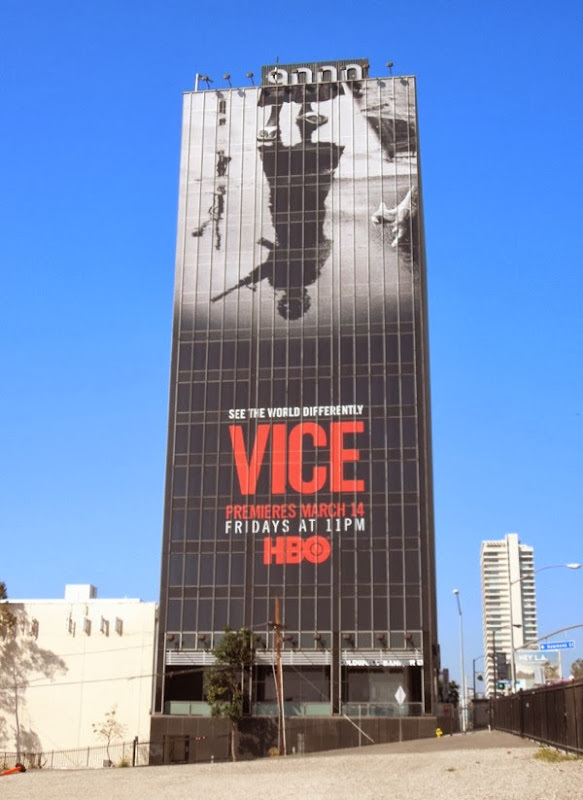 HBO's groundbreaking reportage series is not your typical approach to world events and won't be everyone's cup of tea, but that's the whole point and why their mission statement tagline is 'see the world differently'. 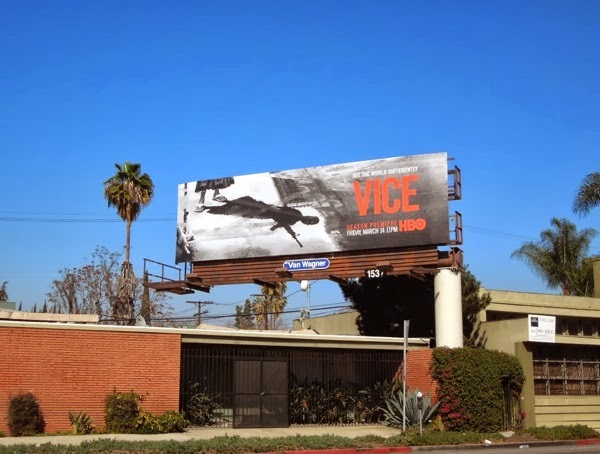 This giant-sized billboard was spied making an impression along L.A.'s Sunset Strip on February 23, whilst the standard landscape version was spotted along Melrose Avenue and a smaller ad along Highland Avenue around the same time. 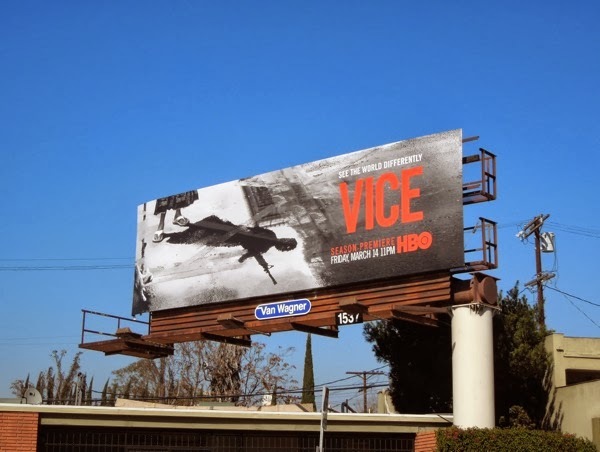 If you're a fan of the series, be sure to also take a look at these season one billboards for Vice. 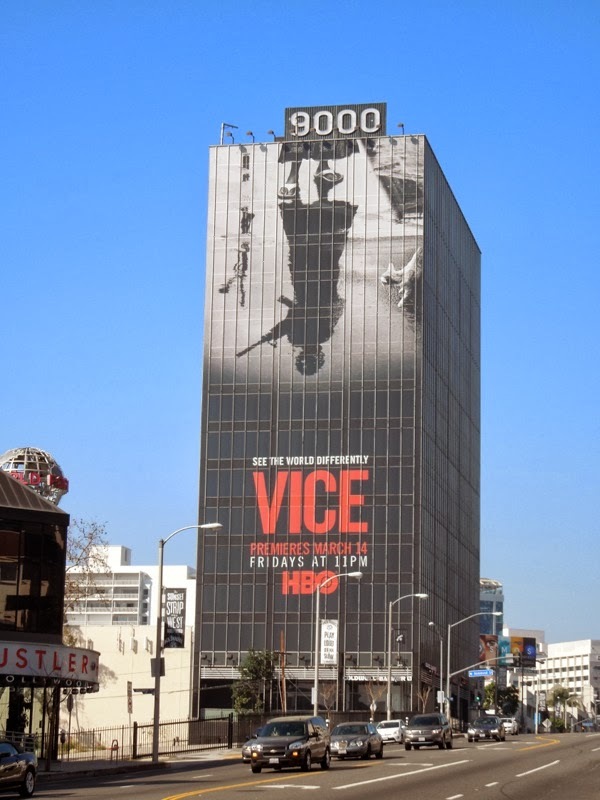 Expect more shocking real-life events, new correspondents, dangerous situations and lots of courage, tenacity and integrity to bring you these types of stories. 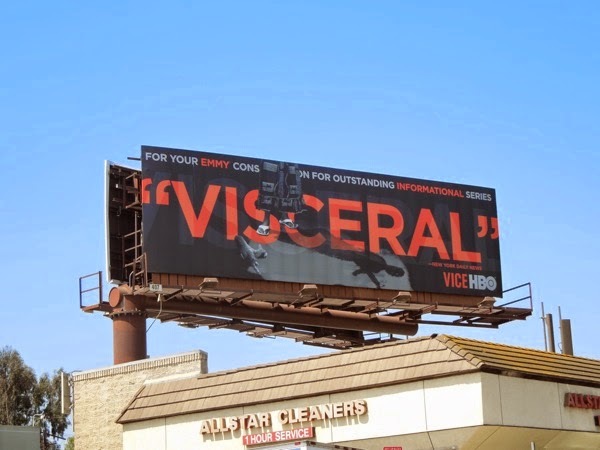 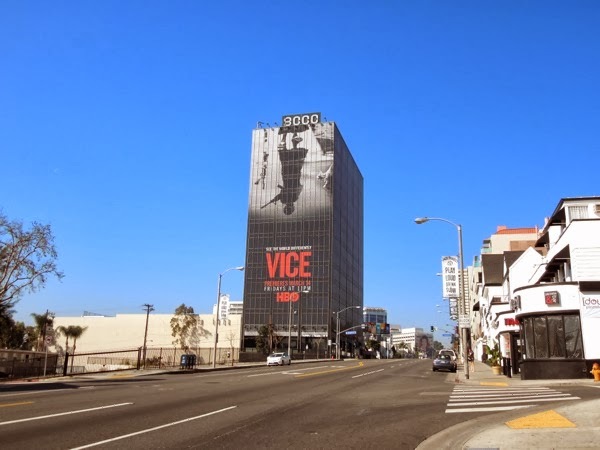 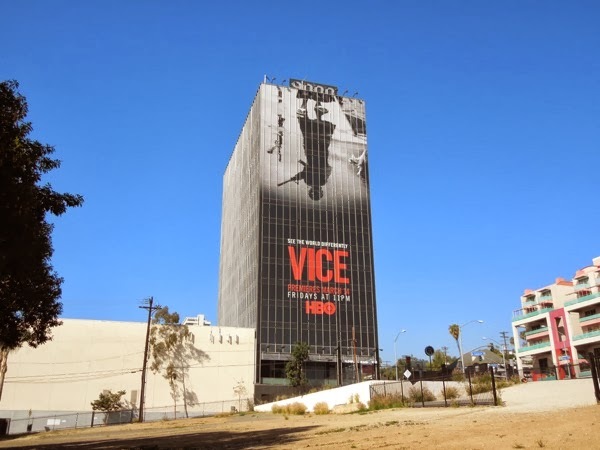 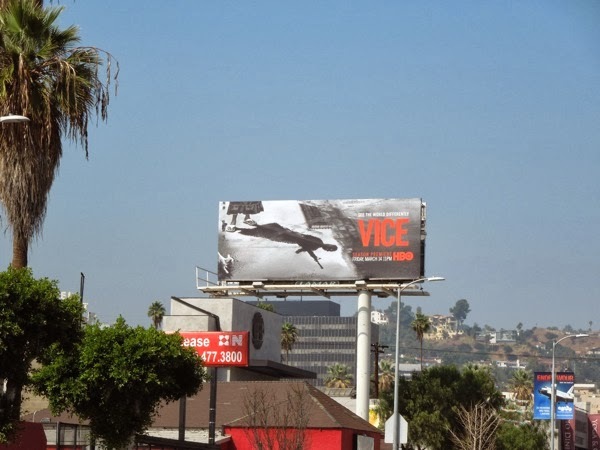 UPDATED: The season two key art for Vice has been reworked into part of HBO's 2014 Emmy Consideration ad campaign and this 'Visceral' billboard encouraging Emmy nominations for the Outstanding Informational Series category was spied at the intersection of La Cienega and Olympic Boulevard on May 24, 2014.